When it comes to unique wedding entertainment ideas, it doesn’t get much better than singing waiters. And not just any singing waiters, but Incognito singing waiters, where only the finest lead singers from London’s West End will perform for you. We can guarantee not a single person in the vicinity who will be left disappointed! Unique wedding entertainment ideas are no easy feat to choose from or decide upon; after all, on one of the biggest days of your life, you want something that will make your special day even more memorable and brilliant, something to serve as the cherry on top amid the snapshots, the cake and the vows. 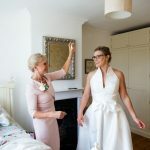 Undoubtedly, your guests will be full of smiles (after all, it’s not every day you get to tie the knot!) 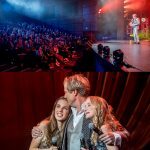 – and why not put an even bigger smile on their faces by providing them with a stream of performances that they will never forget! The singing waiter is one unique wedding entertainment idea that few can rival; it blends that perfect mix of comedy, music and overall joviality that you would be hard-pressed to find elsewhere. Picture it now: in comes the waiter with the coiling moustache, nodding to each person in what seems like a friendly gesture and speaking a few words of how he hopes you are all enjoying your meal, when all of a sudden he bursts into song and, at the sound of Queen’s ‘We are the Champions’ everyone finds themselves singing along, feeling as though Freddie Mercury himself has just appeared before their very eyes, moustache and all! Imagine the shock, awe and enjoyment on your guests’ faces; unique wedding entertainment is an idea that can leave you feeling utterly bewildered and stumped if you choose to embark on it – indeed, it can be a risky business; you may find yourself asking, why not just opt for an easy option of a piano player or a hired singer? After all, everybody else does it! 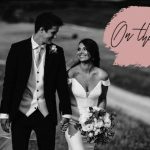 But why not go that one step further to make your wedding the very best it can be, to make it different from all others, to make it truly unique? Why not make it one that will replay over and over again in the minds of all present, a memory that will surely be treasured in years to come? As far as singing waiters go, this is one unique wedding entertainment idea that is guaranteed to prove as a risk worth taking. Want a unique wedding? Want an entertainment idea? Want the very best of the best? If you answered yes to all three questions, then singing waiters is the answer you have been searching for!